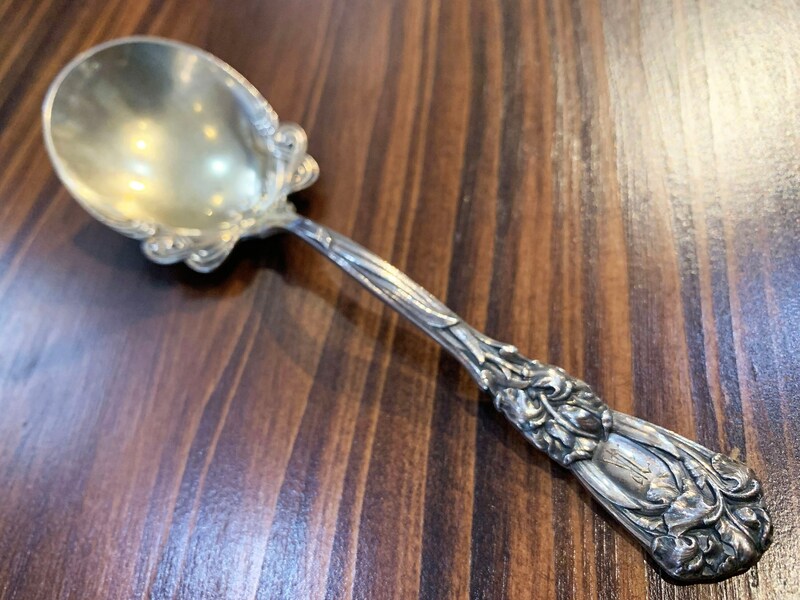 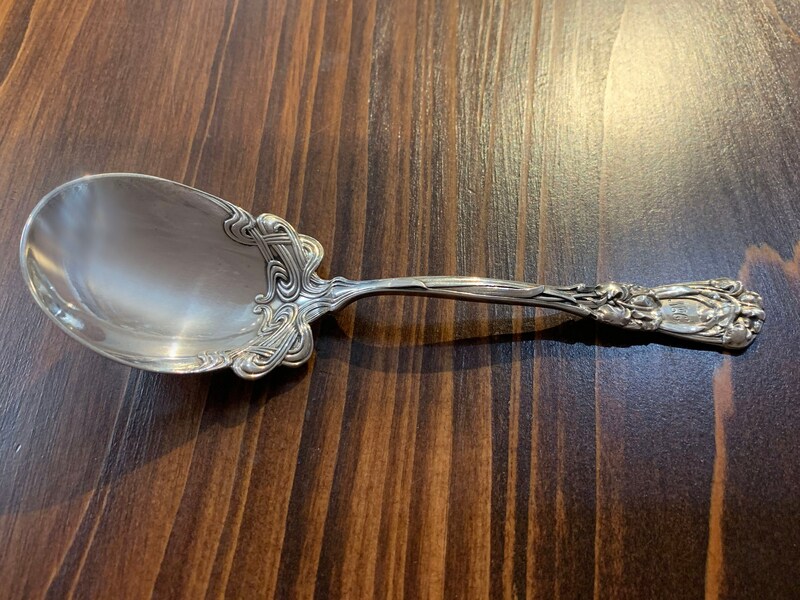 Material Gold & Silver Silver with "L" Silver with "MCC"
Adorn your table in timeless elegance with this sterling silver sugar spoon by William B. Durgin Co. 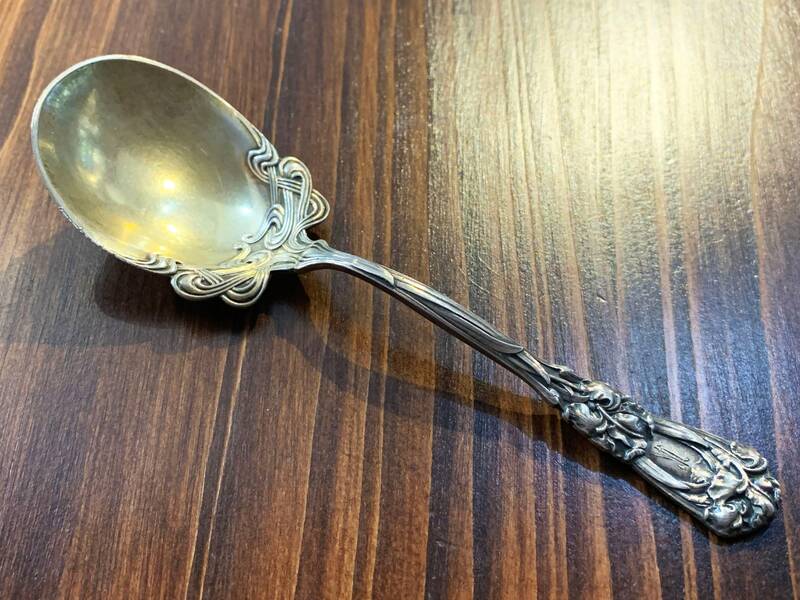 Designed in 1900, the Iris pattern features a stunning floral handle hailing from the American Art Nouveau movement. 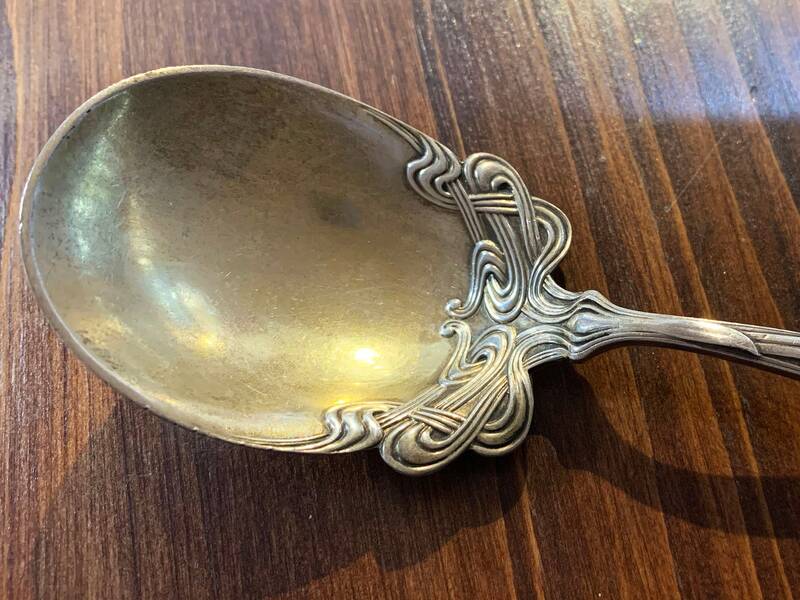 1) Gold spoon with a silver handle. 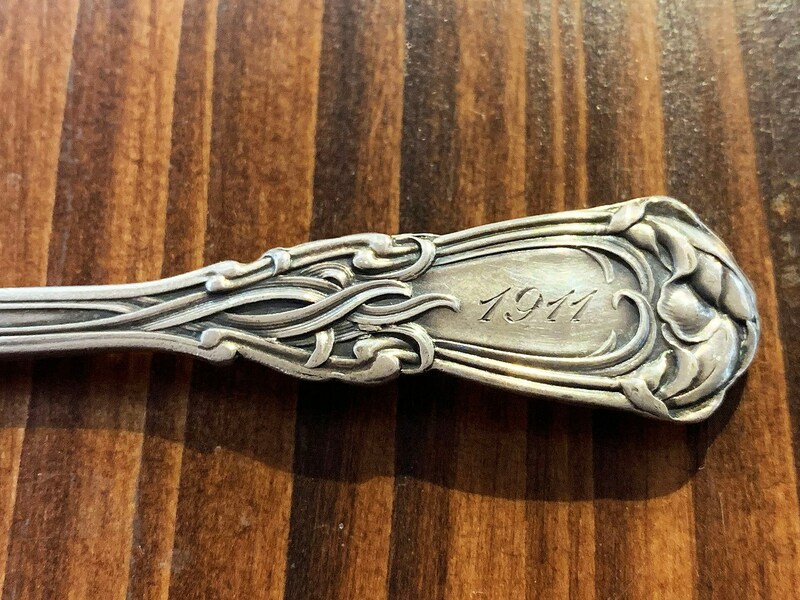 Monogrammed "1911" on the inner handle and "R" on the outer handle. 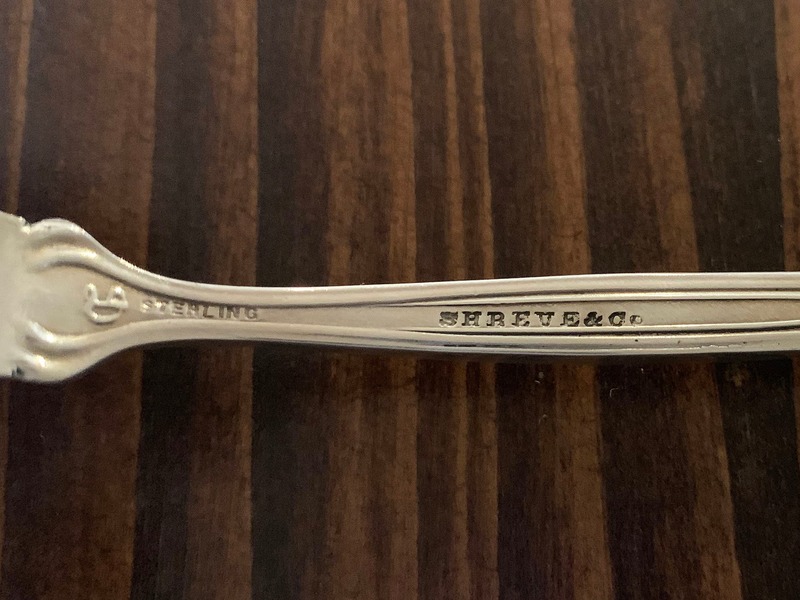 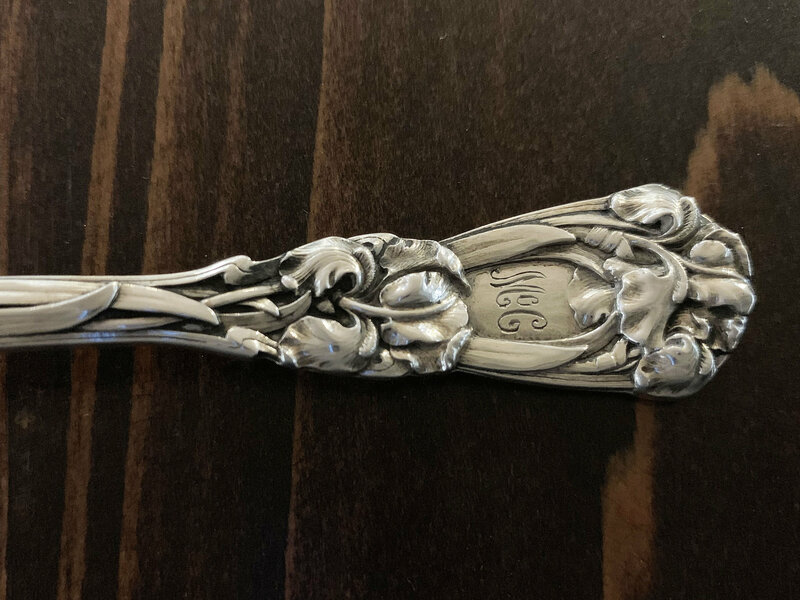 2) Silver spoon monogrammed "MCC" on the outer handle. 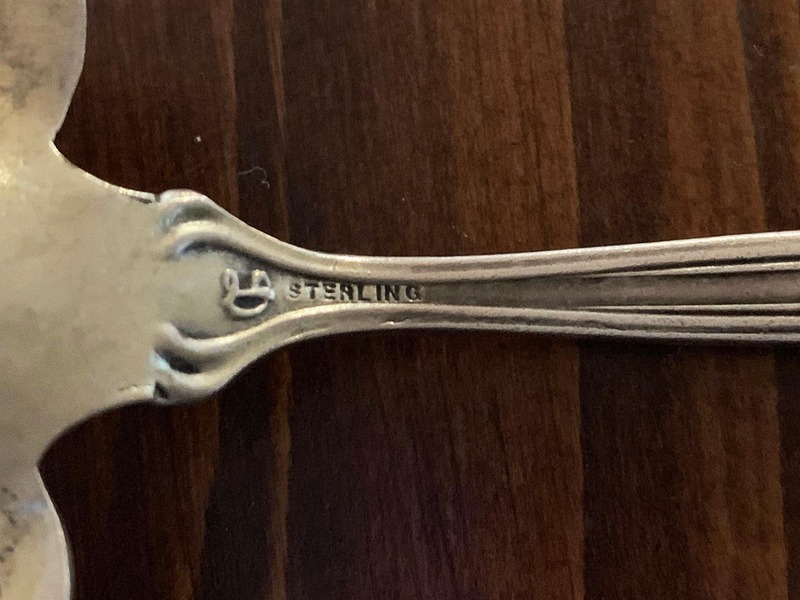 3) Silver spoon monogrammed "L" on the outer handle.